If the tweens had it their way, taco night would be every night. The same ground beef tacos with all of the toppings over and over again. I love to cook and use it as my creative outlet. But just like no artist creates the same painting more than once, I rarely create the same dinner more than once. With the taco routine ready to drive me loco, I decided to start switching it up. 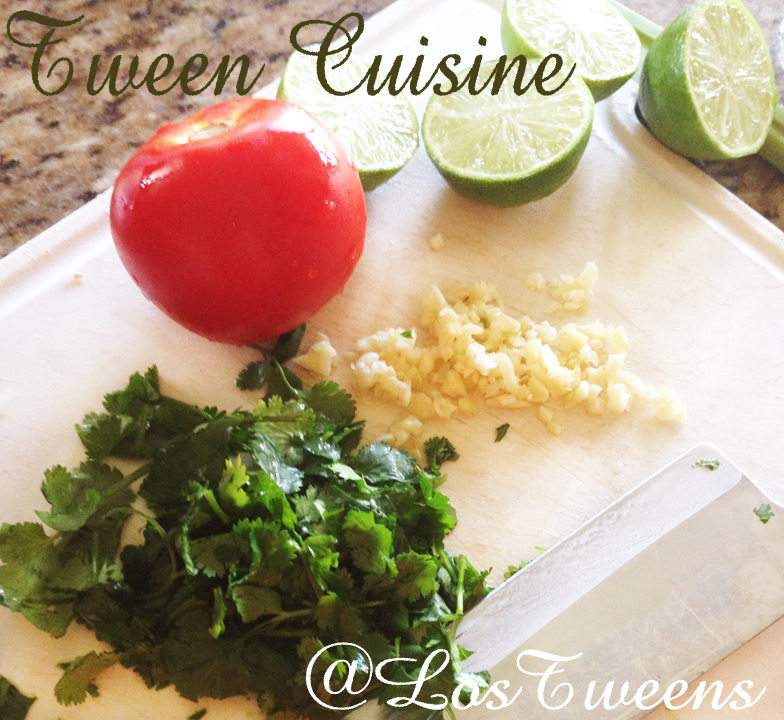 I played with the proteins and toppings introducing the tweens to avocados, cilantro, lime and queso blanco. I found that tacos were an easy way to introduce the tweens to new foods. My children will try anything at least once but it takes a few introduction and incorporating new flavors into their favorite meals before they become fans. Just recently, I turned taco night upside down with tostadas. They were skeptical. But after devouring their first tostada and quickly asking for seconds, I knew I had a winner. Tostadas are as easy and fast as tacos and I think they’re slightly healthier for you since they often turn into more of a taco salad. My favorite part about tostadas is the ability to pile on the flavors and not have to worry about wrapping it up or fitting it in between a shell – think more like an open-faced sandwich. This “Quick and Easy Steak Tostada Recipe” is perfect for any night of the week and the Ranch dressing makes it kid-friendly. Marinate flank steak in lime juice and garlic for at least 1 hour. Drizzle olive oil on heated pan. Once oil is hot, add flank steak and marinade. Pan fry until steak is cooked through. On a plate, place one tostada shell, top with steak, shredded lettuce and salsa. Drizzle on ranch dressing. Top with queso blanco and cilantro. *To add a little spice for the adults, try medium or hot salsa or add hot sauce. 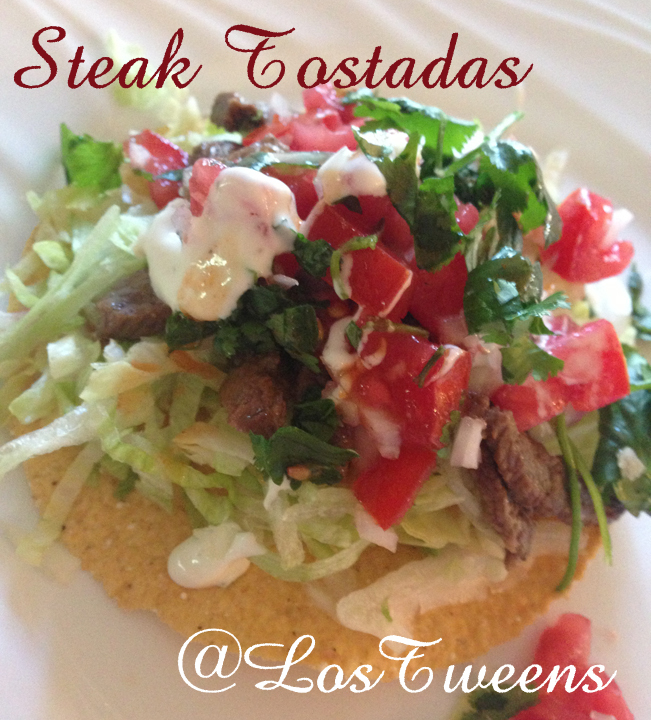 This entry was posted in Recipes and tagged Mexican, recipe, Steak Tostada, Weeknight Dinner. Bookmark the permalink.